How do I view past time cards or view past pay periods? Employees/Managers can see past time cards and export their time. 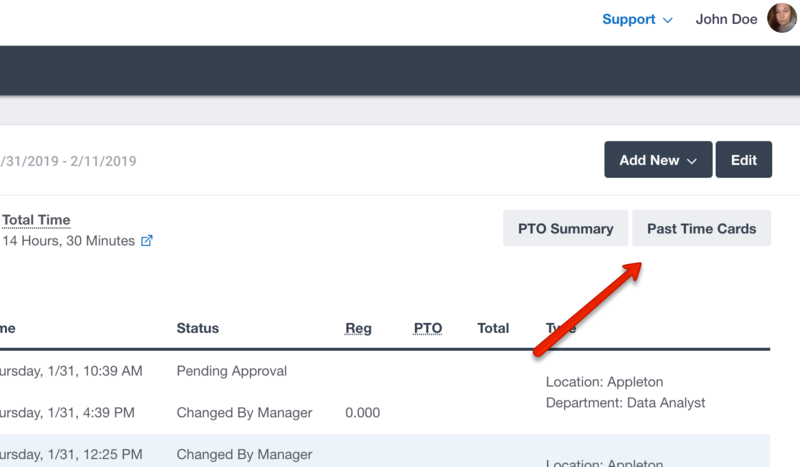 As an employee you will be able to see past time cards by clicking on the button on the top right of the screen that says "View Past Time Cards." When you log in your current view will always be the current pay period - when you click the 'view past time cards' option you can choose other pay periods by using the drop down menu.